Twenty Jihadist terrorist are about to be smuggled into the US via Mexican drug cartel tunnels in Brownsville, Texas. Retired CIA operative, John Powers, now employed by a private intelligence firm, uncovers a conspiracy between the Chinese government and a worldwide cabal of elitist, to take down the US government thru a series of terror attacks, cyber-attacks, nationwide blackouts, and a crash of the US stock market. 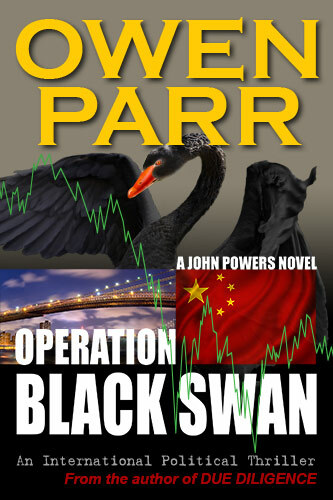 Synopsis: Operation Black Swan – A John Powers Novel. On a surveillance mission of a meeting in Mexico City between Cuban and Chinese officials, the Alpha Team of the private security firm Sect-Intel Group—former Delta Force soldier and team leader John Powers, computer whiz Joey Valentine, former DEA agent Jackie Allison, and martial artist Melissa Harrington—uncover a terror plot in the making: a group of twenty Jihadi terrorists is on route by Chinese freighter from Cuba to be inserted in the U.S. Learning of this, company president Alejandro Cardenas reports the news to the authorities. 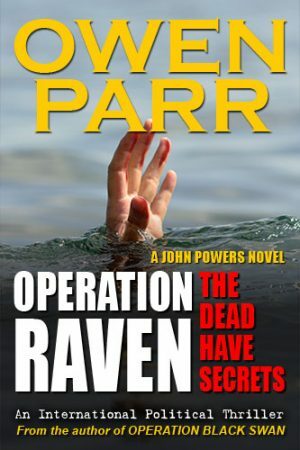 Soon, John and three other Sect-Intel employees are lying in the d ark of a drug-smuggling tunnel below the Mexican border, preparing to capture two of the approaching terrorists. 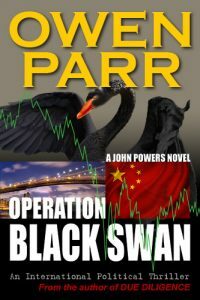 What Powers and Cardenas do not yet know is that they have uncovered the culminating stages of a combined Chinese and Cuban attack called “Operation Black Swan” that combines Jihadist terror attacks on American soil with sophisticated insider manipulation of the American stock market and hacking of sensitive American banking, commerce, and security firms. The purpose: to shatter the U.S. economy and bring on a financial crisis so devastating that the country loses control of its assets and becomes a vassal state of the world-dominating Chinese. Masterminding the cyber warfare aspect of the plan is Director Chen Lee of China’s Ministry of State Security, who directs New York-based financial tycoon Nikolas Akakios in the arcane manipulation of a select group of U.S. companies for the purpose of crashing the American stock market. Central to the plan to destabilize the U.S. economy is Cuban Colonel Abimbola Cruz, whose Directorate of Intelligence has provided the training and logistics for the Jihadi terrorists. The colonel’s motivation, however, is as much personal as ideological: years earlier, as a CIA operative, Alejandro was largely responsible for foiling a massive money-laundering scheme dubbed “Due Diligence” that the Cuban military maintained in coordination with the Jiminez drug cartel of Mexico. Also involved in the disruption of the colonel’s lucrative arrangement was then-DEA agent Jessica Allison, as well as investment banker Julia Muller Estrada Palma, who was unwittingly a pawn for the Jiminez cartel and is now engaged to “Alex” Cardenas. 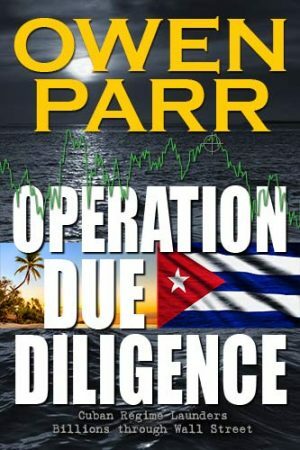 Soon after his operatives sniff out the rough outline of Operation Black Swan, Alex gets a chilling call from Colonel Ruiz: he has kidnapped Julia and Jackie from Mexico City and is holding them in a beachside enclave in Cuba. If Alex wants his fiancé to live, he will fly to Cuba and surrender himself within he next two days. But the colonel has made the mistake of underestimating the resources of a former CIA operative whose security company employees include former Delta Force and Navy SEAL warriors and a client who manufactures surveillance drones the size of bees and flies. Ricocheting around the world from China to Cuba to Mexico and drug cartel tunnels, CIA Gulfstream jets and Wall Street, Operation Black Swan tells the explosively plausible tale of the grim possibilities for financial terror inherent in the light speed transactions of stock market buying and selling—and how only a Delta Force sniper with the nickname of “The Hulk” and his Alpha Team stand between a strong and independent American homeland and subservience to a dominant Chinese state.